Today, organizations are migrating towards software defined data centers with the intent of providing networking, computing, and storage as a service to make computing feasible and effortless. This paradigm shift is widely welcomed by technology experts as it fulfills the needs of organizations and also brings a true utility computing model. Cisco’s Unified Computing System (UCS) is one such platform that unites compute, network, and storage access to make businesses agile. The UCS is capable of delivering new services reliably and securely through end-to-end provisioning and migration support for virtualized and non-virtualized systems. Cordicate IT is a trusted partner of Cisco that leverages the UCS platform to offer infrastructure consulting services and managed solutions to organizations to design, build, and operate information assets in a cloud environment. Cloud computing is key to Cordicate IT. The company leverages its expertise to move their customers to a cloud ecosystem without the need of any additional software or technology. “By embracing cloud in our own computing model, we are in a unique position to help our clients’ cost effectively transition to the cloud,” says Sean Baird, Managing Partner, Cordicate IT. The company’s joint venture with Cisco paved the way to take the first step in offering a broader subset of services focused on Cisco platforms. Utilizing this relationship, Cordicate IT is making a difference in the technology consulting field by guiding companies to choose the right resources and processes to effectively perform in a cloud ecosystem. For over a decade, Cordicate IT has helped clients to lay down a well-organized infrastructure for better output by embracing the UCS platform. Baird highlights one of their recent projects where they developed a geographically diverse private cloud for a customer.“We completely replaced the customer’s existing architecture on a Hyperconverged platform based entirely on Cisco UCS and networking technology,” says Baird. By moving the infrastructure to this new platform, the client is now able to run workloads across multiple sites.As an infra¬structure service provider, Cordicate IT always welcomes com¬petition and stays ahead of the rest by constantly pushing the innovation envelope. 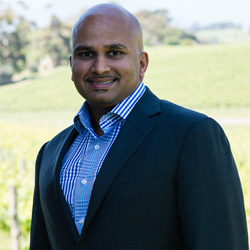 “At Cordicate IT, we are a big family that operates as a team to get work done. We have an open door policy where everyone’s inputs are valued towards achieving a common goal,” adds Baird.On the investment front, the firm is rebuilding their innovation lab to keep up with upcoming trends and technologies in the cloud market. “With Hyperconverged platforms coming to the market and hybrid cloud architecture being embraced, the landscape is going to be radically different a couple of years from now. Our engineers are constantly pushing the limits to deliver new technology to our client base without putting them on the bleeding edge,” says Baird. 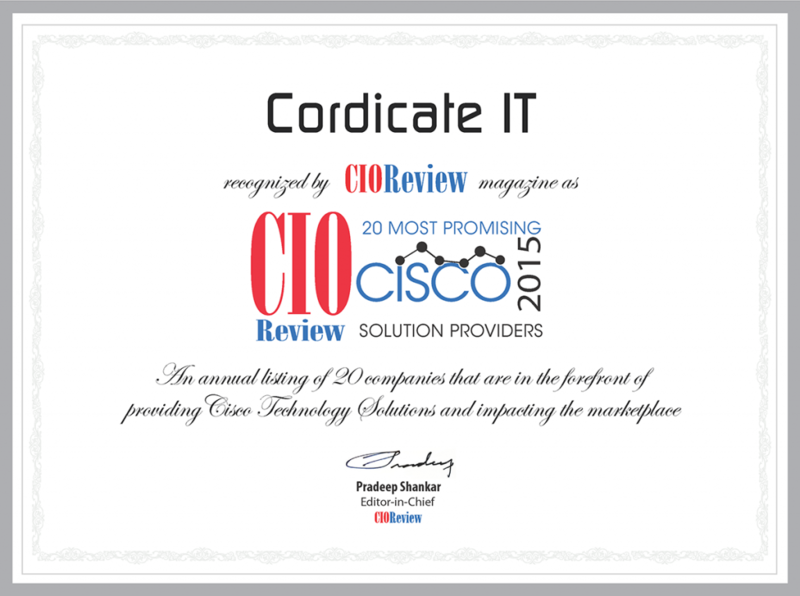 Moving forward, Cordicate IT is committed to develop its expertise in Cisco’s technologies. “We will continue to wrap complimentary products around our solid core of infrastructure services. We are in the middle of expanding our cloud offerings and will grow geographically so that we can provide better services as well as broaden our customer base,” concludes Baird.